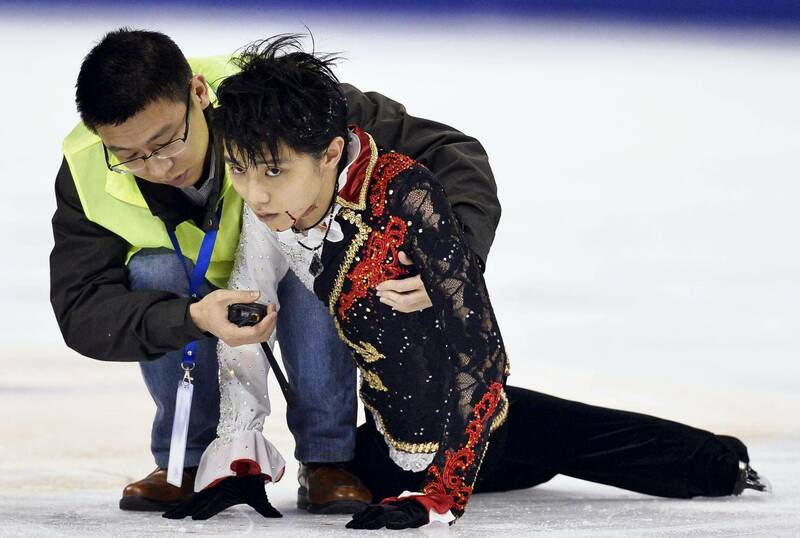 SHANGHAI - Olympic and world champion Yuzuru Hanyu was involved in a scary crash with another skater during warm-ups at the Cup of China on Saturday, but recovered to perform his free skate program and nearly won the title, despite falling five times. Maxim Kovtun of Russia captured the gold with 243.34 points, less than six points ahead of Hanyu (237.55). 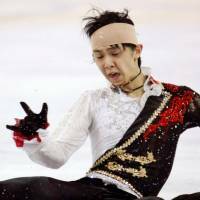 Hanyu was skating backward at a high speed during the warm-ups before the free skate when he collided with defending champion Yan Han of China. 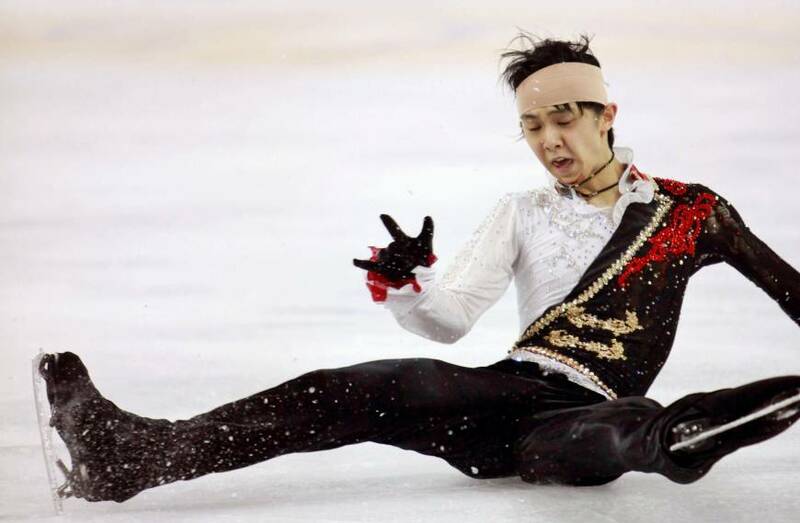 Hanyu fell to the ice and lay for several seconds on his back as blood streamed down his neck from a cut on his chin. 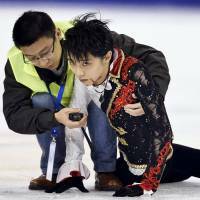 Both skaters were checked by doctors before deciding to compete in the free skate. American Richard Dornbush placed third with 226.73 points. Canada’s Nam Nguyen was fourth (221.85) and Uzbekistan’s Misha Ge was fifth (219.28). Keiji Tanaka finished eighth with 189.26 points, placing sixth in the free skate. In the women’s competition, Kanako Murakami earned a bronze medal. Elizaveta Tuktamysheva and Julia Lipnitskaia, a gold medalist in the inaugural team event at the Sochi Games this year, made a 1-2 finish for Russia with 196.60 and 173.57 points, respectively. Murakami gave it a strong effort but was unable to move up from third from the short program in her performance to “The Phantom of the Opera” in the free skate en route to a total of 169.39. “I am happy to get on the podium but I am disappointed I wasn’t able to give it all of my power,” said Murakami. “My free was shaky. 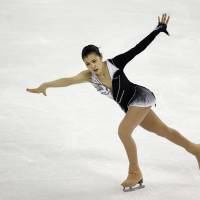 I’ll have a chance for the finals so I want to really do well at the NHK Cup,” she said.